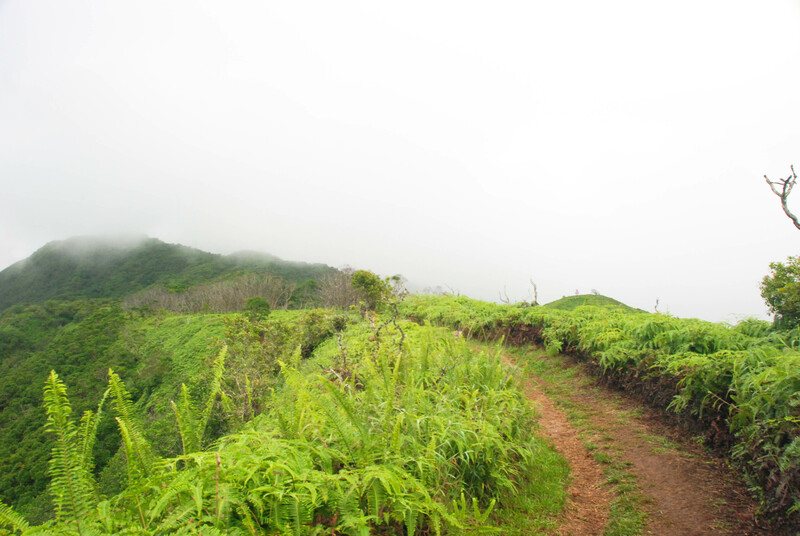 Maui is a land of many beaches but our favorite thing to do is to hike the Waihe’e Ridge Trail. 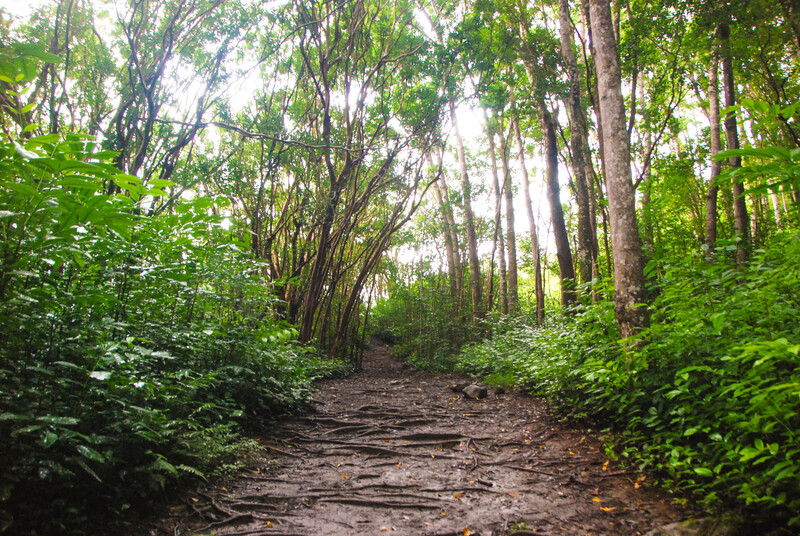 If you’re in Hawaii for vacation, it’s likely that much like us you will have taken a flight there, so this is our favorite hike that requires minimal gear and can be done in just a few hours. The four-mile, moderately trafficked Waihe’e Ridge Trail is a bit steep, but the views offer a big pay off. There is a reason much of Jurassic Park was shot in Hawaii, so for adventure seekers looking for something a bit off the beaten path and not too far from the city, this is a perfect option. 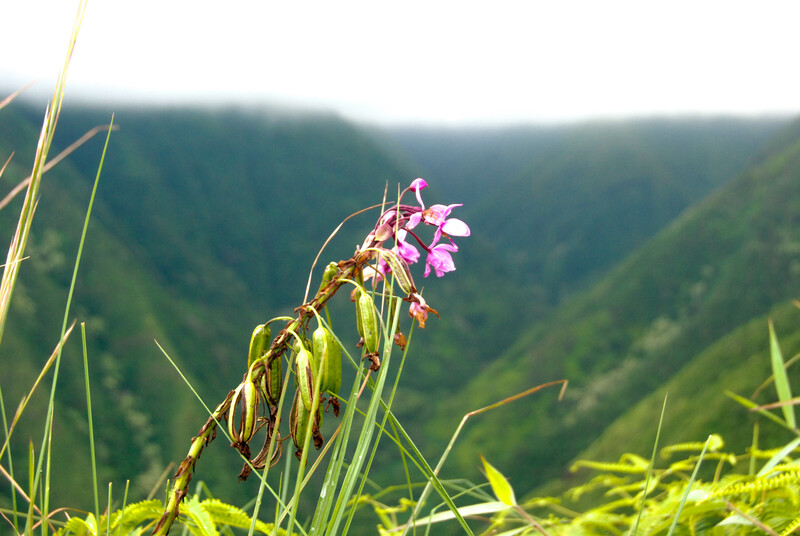 The first thing you will find about Maui is that there is an endless string of hiking possibilities, but we like the Waihe’e Ridge Trail (also known as the West Maui Mountains) hike for several reasons. It’s quick, it’s still challenging, and the views are amazing. There is a lot of fog, but it rolls in and out, clearing for beautiful skies and rainbows. Any rain you encounter will mercifully be intermittent. Once you clear the first part of the trail, this is the view you see about a mile in, from that point on you have a clearance that gives you a 360 view of canyons on both sides. It never hurts to wear sunscreen even on a daily basis, but when you’re up high and in such an open space, it really comes in handy. I’m partial to paraben free sunscreens. My pick if you’re in the market to try something new is the Alba sunscreens, if only in that they smell far better than the standard sunscreen smell. I call this “Sweat proof athletic wear.” It’s that in between nylon fabric that is moisture wicking but not quite moisture repellant. Uniqlo has a great range of options in their Airism collection which is not only super light but also moisture wicking. 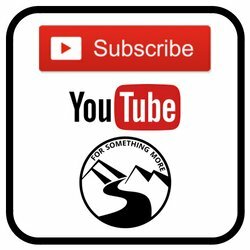 It is a reasonably priced alternative to some of the more avid and frankly higher priced options you might find at a traditional outdoor sports retailer. 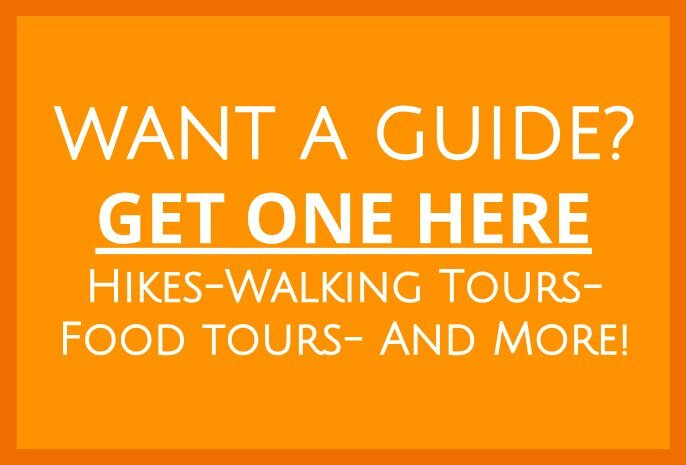 Do not get discouraged by the beginning of this hike! When you hike the Waihe’e Ridge Trail, there is an almost vertical and very small stretch leading up from where you can park your car to the trailhead. I promise it will even out after that and become much more of a slight incline as you go. Remind yourself that the views are worth the climb! 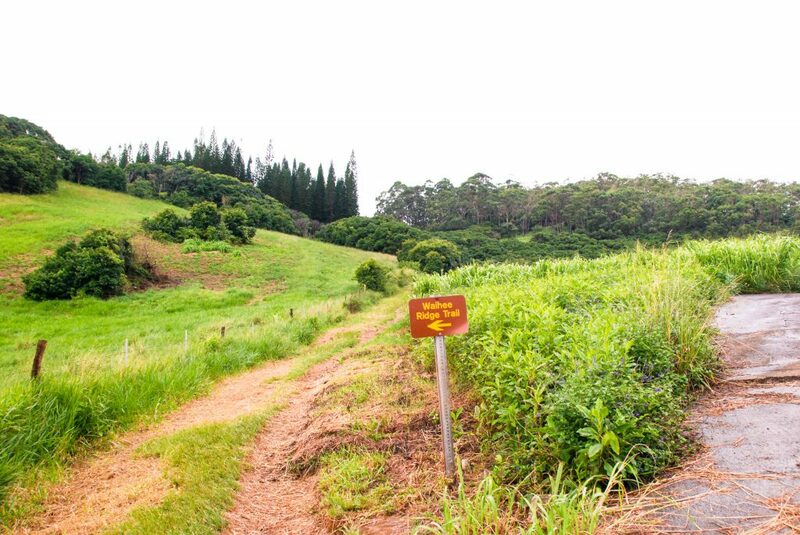 Here is the official Maui guide to the trail. We track every single one of our trails on All Trails. 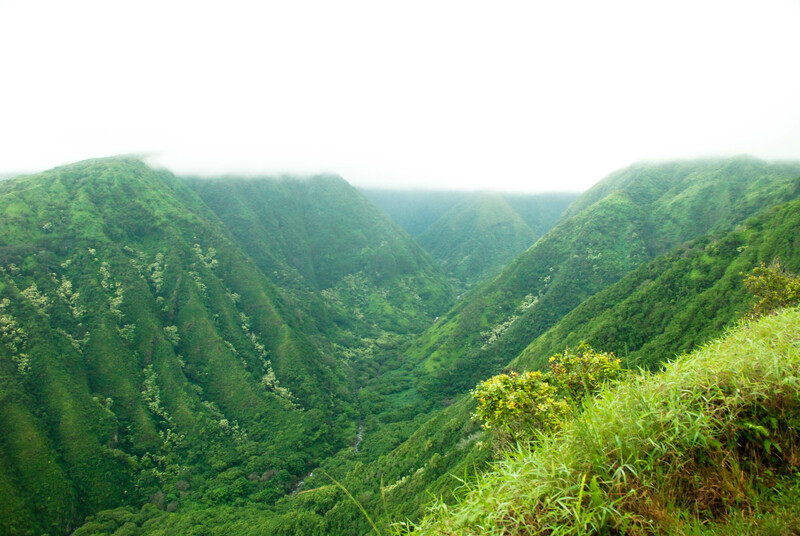 When you hike the Waihe’e Ridge Trail, you can do the same. The Waihe’e Ridge Trail is listed on All Trails, and we often contribute when we get to uncharted parts of trails, just to give back to the community. This has been one of our most helpful tools. If you prefer to see the route on Google, check out the Google Map here. The start of the trail is here! Just off Kahekili Highway 340, follow Maluhia Road for almost a mile until you see a fence marking the trail head. There is a parking lot between the two, it will start to fill up early so you can’t miss it. Note: You will need a car in Hawaii. There isn’t really infrastructure for public transportation that gets you places, so this is one of the few places I highly recommend a car. This lone sign will be the one official sign that you’ve officially arrived at the trail. Once on the trail, it is really well marked with markers every half mile or so. The trail itself is out and back meaning you will have to go back the way you came in, rather than a loop style trail. This does offer the benefits of different vantage points but also the drawbacks of encountering some foot traffic on the way back. When you hike the Waihe’e Ridge Trail. I recommend starting early to avoid some of the higher temperatures and hiker traffic. Believe it or not these gnarled roots help counter the mud in the area and with traction during the hike. There was such interesting and unique plant life on this hike. 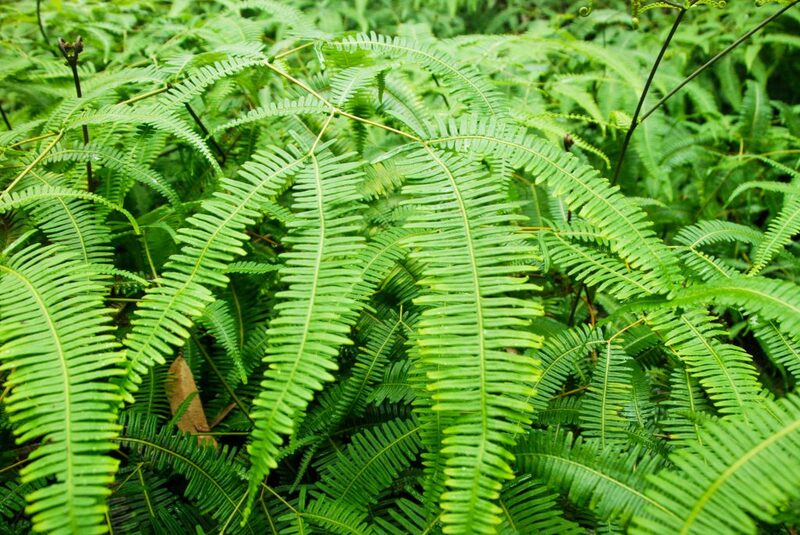 I ended up saving one of these gigantic ferns and pressing it between wax paper later. More flowers! The amount of rain and sunshine this area receives makes for such interesting plants and little animals. 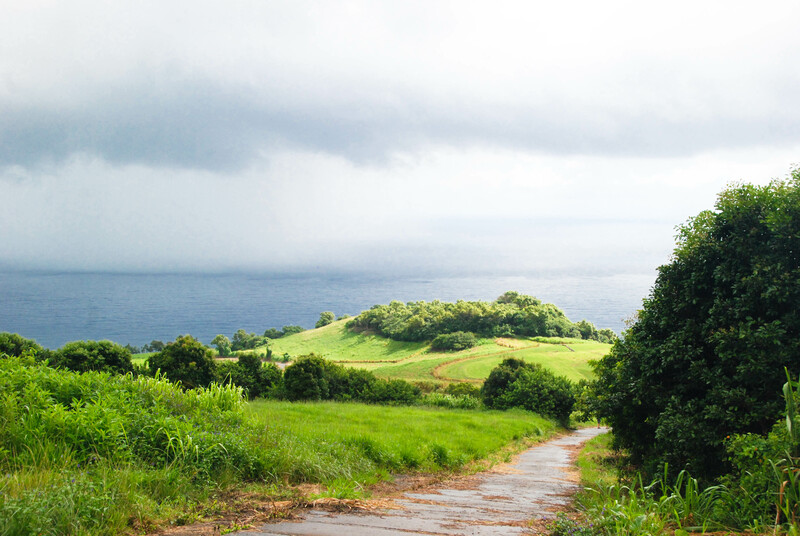 While the hike on the way in gives sweeping views of the canyons with lush greenery, the way back offers unobstructed views of the ocean. Breakfast, Lunch or Snack Time…We’ve Got You Covered! 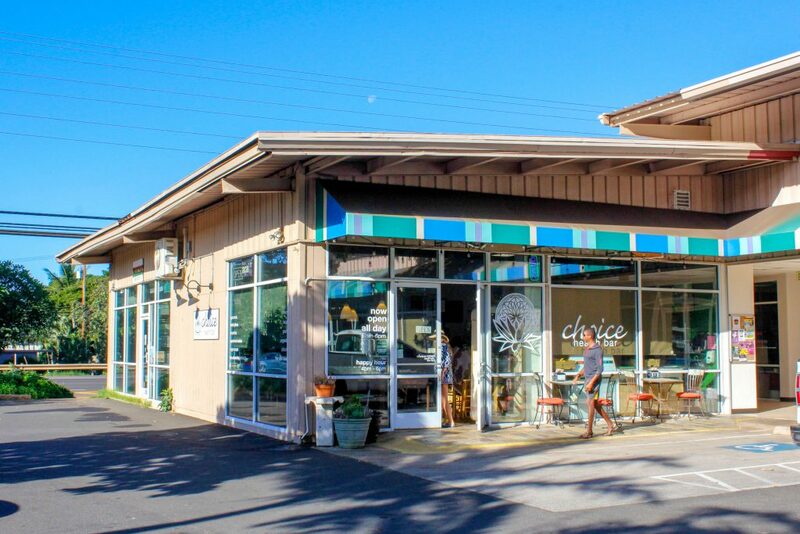 Choice Health Bar actually offers a lot more than acai bowls, but we default to our favorite offerings. The community of locals and expats that have breakfast here in the morning gives the whole place a great vibe. 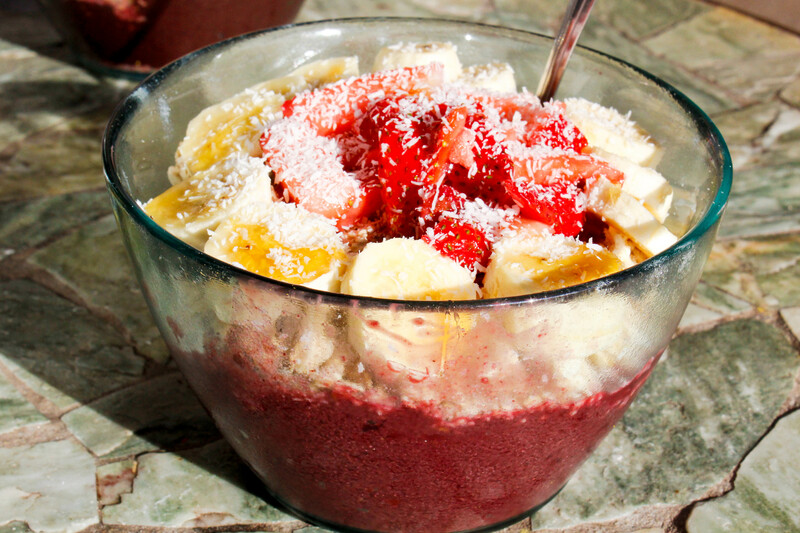 I believe this bowl was the Dessert Sunrise. When in Hawaii, I feel like there’s always time for Acai bowls, poke and malasadas. FINDLING’S FINDS – Deborah started her blog a few years ago, needing a bit of a creative outpost for her new DSLR photos to land. Since then, it has become a bit of a captain’s log of adventures she’s had in NYC as well as a new transplant to San Francisco. Check out more of her content at Findling’s Finds.